Interviews by: Malcolm McLaren and Michael Bracewell; Anthony Huberman and Gianni Jetzer; Walter Pfeiffer, Tom Burr, Florence Derieux, Gianni Jetzer, moderated by Bob Nickas; John Armleder, John Miller, Haim Steinbach, Bob Nickas, moderated by Gianni Jetzer; and Lawrence Weiner, Andrew Blake, moderated by Piper Marshall. This visual anthology features the the outstanding artistic projects and exhibitions produced between 2006 and 2013 at Swiss Institute. 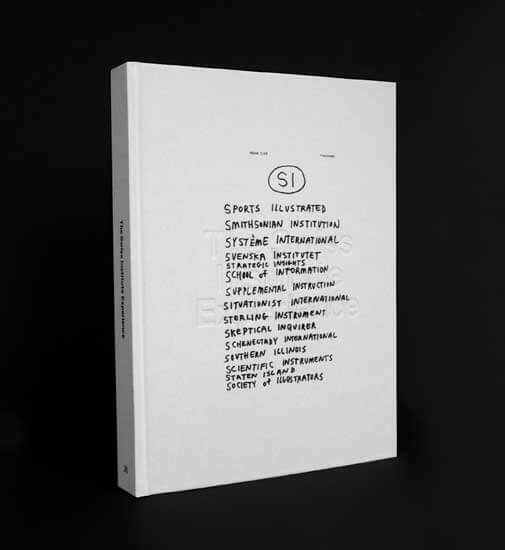 Published by Swiss Institute Contemporary Art with JRP | Ringier.